Camera should be placed under the screen. Laptop build-in cameras are not suitable due to their fixed placement, thus a separate external webcam is recommended. 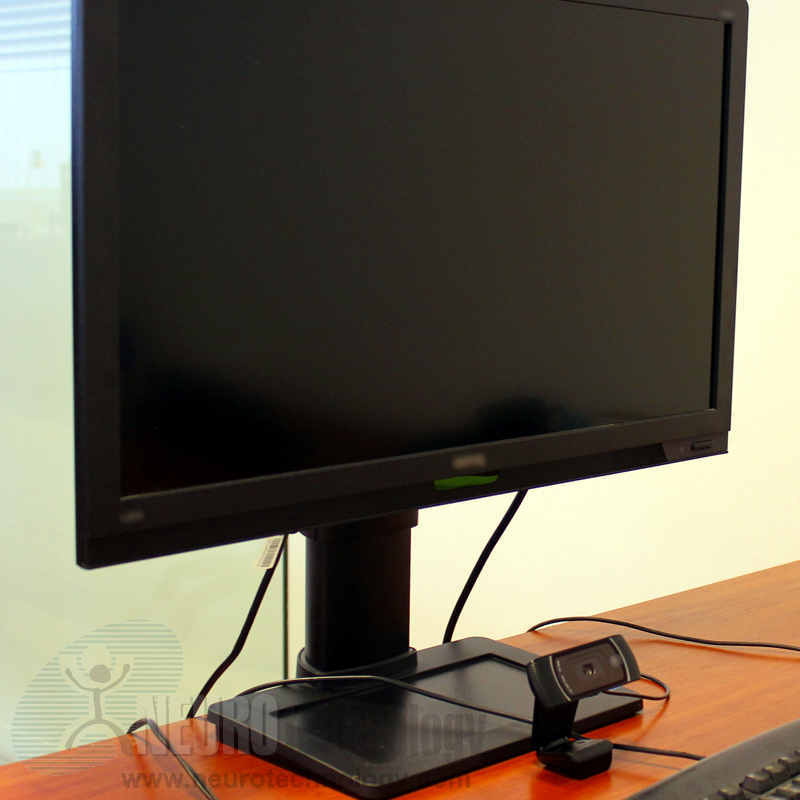 User should be positioned at 45 - 80 cm (1'6" - 4'0") from the screen. 60 cm (3'0") is the optimal distance from the screen for convenient gaze tracking. Screen sizes up to 24" (61 cm) are supported by SentiGaze. Calibration should be performed before a user will start working with SentiGaze based application at particular computer and camera. The calibration process is simple and convenient, as it guides the user to gaze at specific points on the screen. Three calibration modes with 9, 12 and 16 points are available; more points increase the accuracy of gaze tracking. Binocular eye data is used for gaze tracking. Tracking performance is more than 30 frames per second on a PC with Intel Core i7-3770 processor running at 3.4 GHz clock rate.